I just thought of this idea today and wanted to share it immediately. I chuckled to myself as I thought of creating the earth on the moon … sorry, i’m dorky that way ;). I ran drove to the store to buy Vanilla Moon Pies, there were none, so I bought banana ones. I do recommend vanilla because of the lighter color to work on. Color the gel blue or you can buy tubes of blue gel at most grocery stores. 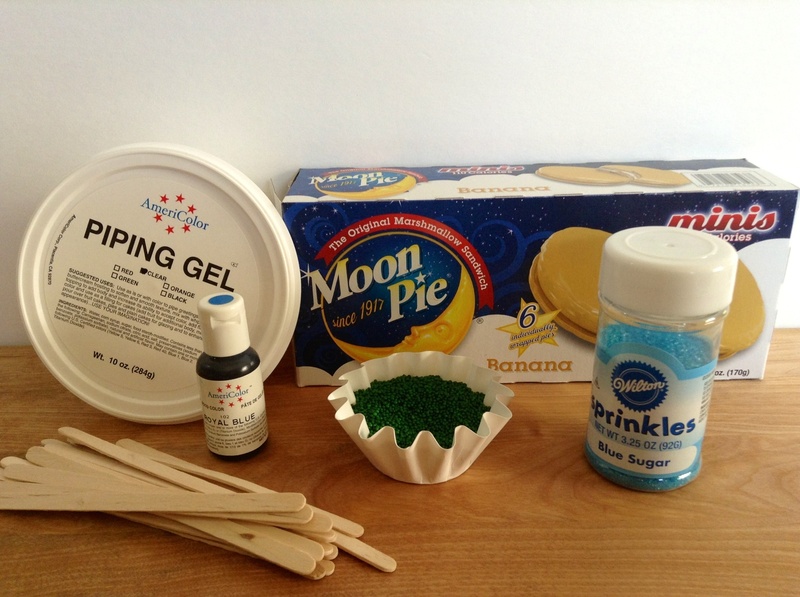 Use the brush and blue gel to paint the Moon Pie. 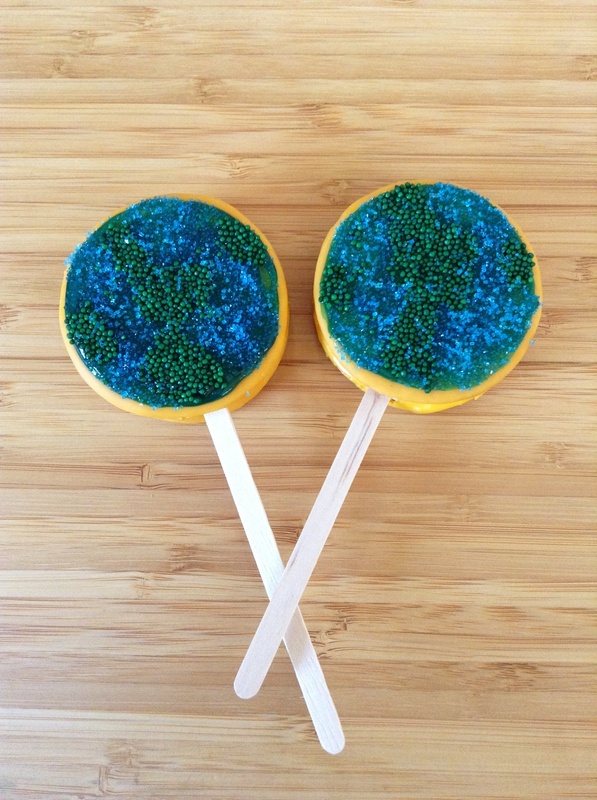 Add some green sprinkles to create land masses or continents … mine are a little unrecognizable ;). Press the green sprinkles a little, tap off excess. 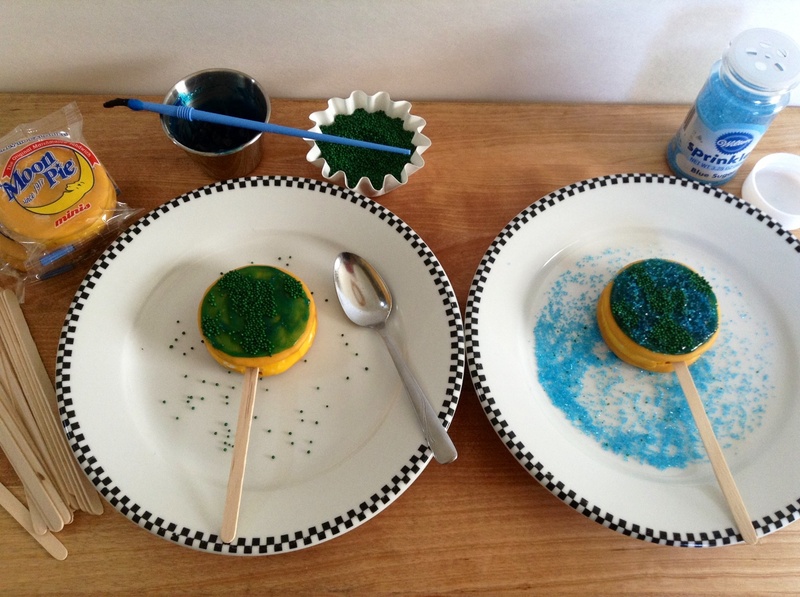 Sprinkle blue sugar over the blue gel, creating water! This may be shared at the fun parties listed at the top of this page! Cute pops,you are so creative! I love that you merged the Earth and Moon together in your edible craft. They look great. Pinning! Love your idea and I love Moon Pies.